Erastus is an Associate in the dispute resolution practice group and specialises in arbitration, banking & commercial litigation, employment and labour disputes but is well regarded for his insolvency and restructuring expertise. He has advised local and international clients from various sectors such as the financial services sector and the public sector. His expertise largely focuses on banking and commercial litigation, constitutional and administrative law, complex employment & labour disputes as well as land and property disputes. Erastus has a keen interest in insolvency and restructuring following the new changes in the Insolvency Act 2015 as well as asset tracing and recovery. 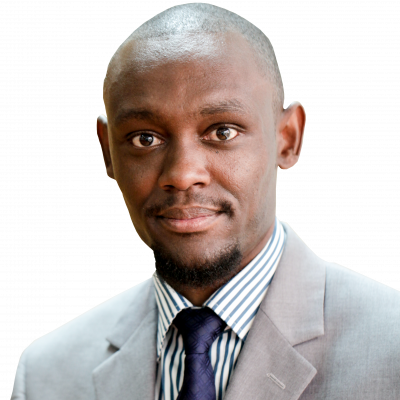 Erastus has a Bachelor of Laws (LLB) from Moi University and a Diploma in Law from the Kenya School of Law. "Erastus is well regarded for his insolvency and restructuring expertise." Part of the team that is currently representing a pension scheme at the High Court in a Judicial Review Application challenging the decision by the Retirement Benefits Appeals Tribunal. Part of a team acting in a claim which seeks to stop an alleged payment of USD 20 billion in respect of power purchase agreements. Part of a team that assisted in the preparation and hearing of an appeal challenging the decision of the High Court requiring a major soft drink bottler to brand their 900 million bottles with nutritional facts of the soft drink. Representing Telkom Kenya Limited in an employment dispute and incidental negotiations of USD arising from a redundancy exercise of two thousand six hundred (2,600) employees taking part in the where a settlement of USD 3 million was reached. Does your development require an environmental impact assessment licence?